Home Uncategorized Just Announced: FYB Day at the Rays! 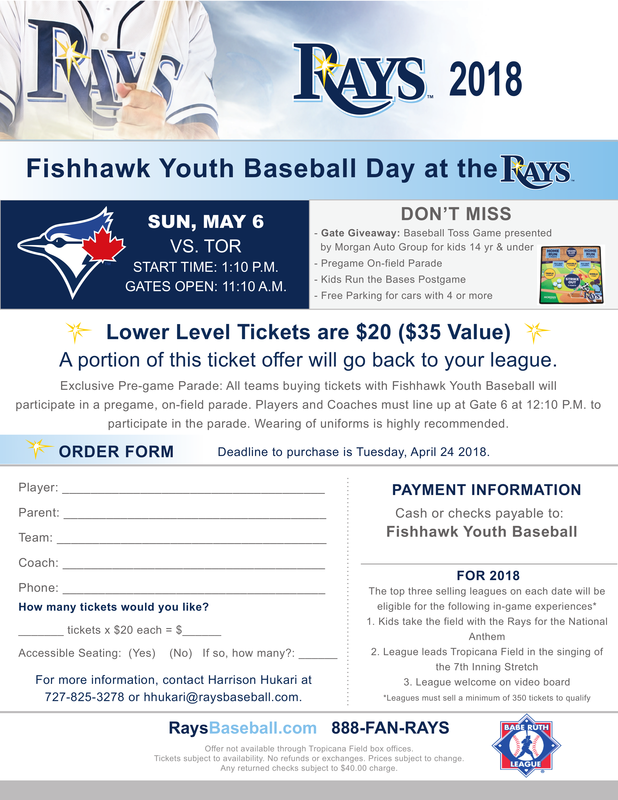 Just Announced: FYB Day at the Rays! FYB families! 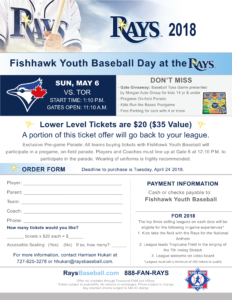 We hope you will join us at FYB Day at the Rays on Sunday, May 6! It’s a great opportunity to spend a day with the family supporting our local team! See your team parent or manager for more information and order forms. Forms must be turned in via your manager. Coaches! Interested in managing an all-star team?